Qatar Executive has become the world’s first commercial operator of the Gulfstream G500 jet. The private jet charter division of Qatar Airways Group received two brand-new Gulfstream G500 executive jets last month, both of which have received Operations Specification approval from Qatar Civil Aviation Authority. The G500, powered by Pratt & Whitney Canada PW800 engines, has a range of 5,200 nm which means that it is capable of travelling non-stop from Istanbul to Cape Town; Los Angeles to London; and San Francisco to Tokyo, for example. In 2019, Qatar Executive is set to receive an additional five G500s, as well as one G650ER jet, for which it is the largest commercial operator worldwide. 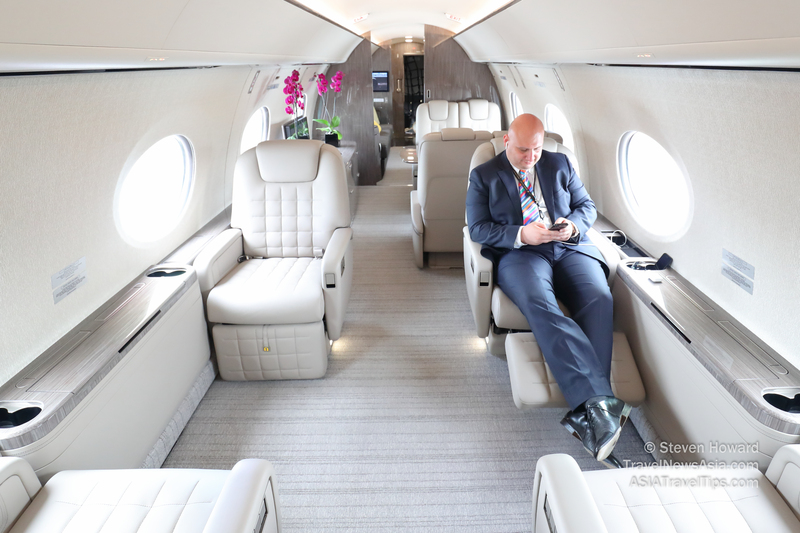 The company currently operates a fleet of 15 private jets, including five Gulfstream G650ERs, two Gulfstream G500s, three Bombardier Challenger 605s, four Global 5000s and one Global XRS. See latest HD Video Interviews, Podcasts and other news regarding: Qatar Airways, Qatar Executive, Gulfstream, G500.